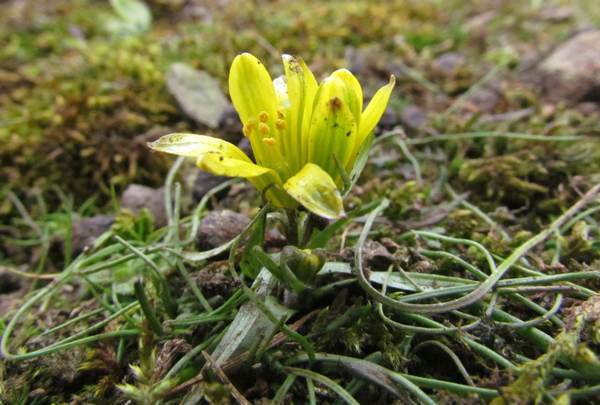 Only found and recognised in 1978 in Wales, Gagea bohemica grows in just one place in Britain. 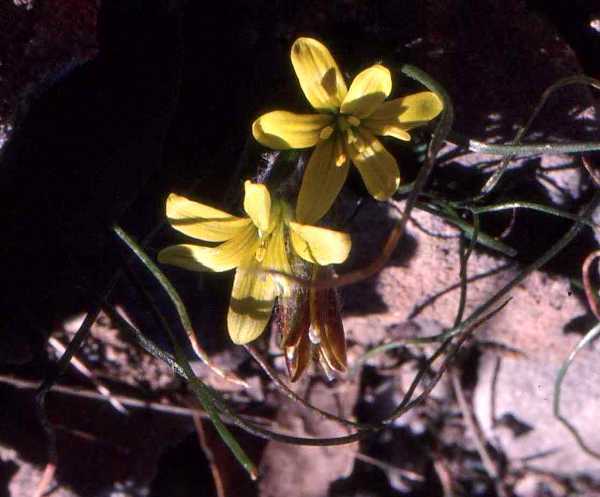 Gagea bohemica is a tiny, low-growing plant with narrow strap-like leaves, and unless the flowers are open it is almost impossible to spot. The flowers wait for sunny days (which can be few and far between in Wales so early in the year!) and then open briefly and only while the sun is still shining. Living up to its common name, this is the earliest flowering of the various species of Star of Bethlehem which occur in Europe. 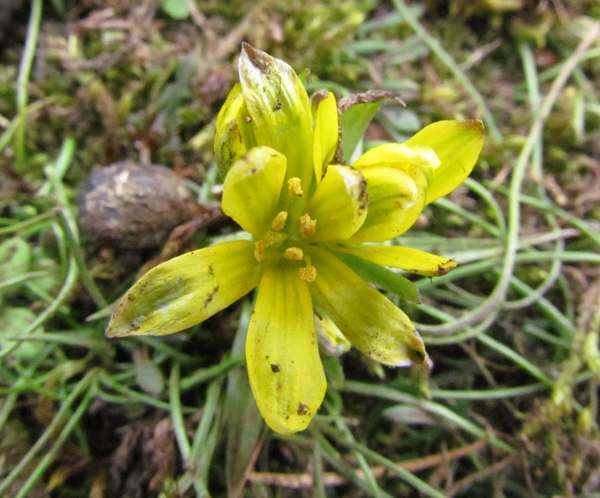 In mild winters it can open as early as the end of January, but it is usually found in bloom towards the end of February and into early March. 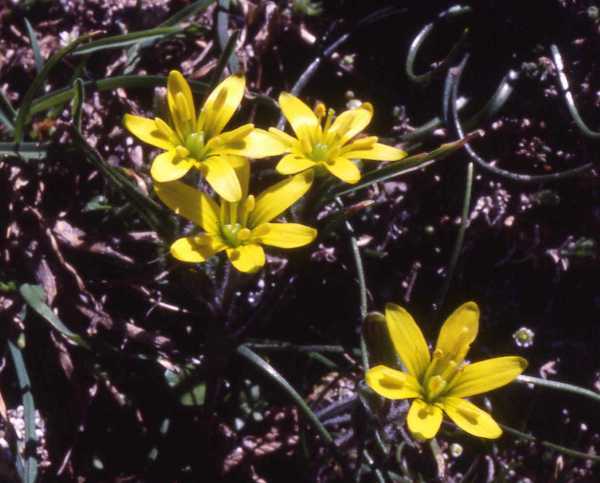 Gagea bohemica grows in Stanner Rocks National Nature Reserve in Powys in Wales, and it is best to apply to the Warden if you would like to see it - Telephone: 0845 1306229, or by email. The plants shown on this page were photographed at Stanner Rocks National Nature Reserve, in Wales (upper two pictures), and in Crete (lower two pictures, which are courtesy of Anne Horsfall).